Mobile messaging platform Viber is expanding once again, after rolling out a direct calling service called Viber Out just last Wednesday. This week, the company is moving into the Windows Store with a brand new Modern-style app for Windows 8, 8.1, and RT. Viber's latest app addition is closer to its other mobile apps than it is to Viber for the Windows desktop released in May. 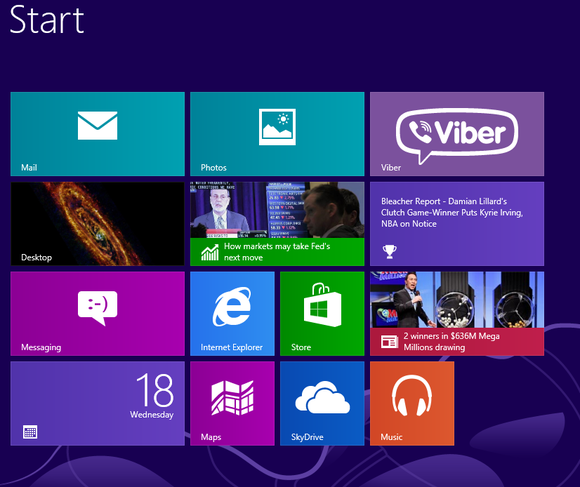 Notably, the Windows 8 version doesn't include a video calling option as its desktop counterpart does. The Modern Viber app on the Windows 8 Start screen. Nevertheless, there are some modern UI-specific features that integrate nicely with Microsoft's latest OS including live tile updates and the ability to pin specific conversations to the Start screen. As with other Windows 8 apps, Viber supports Microsoft's Snap multitasking feature, so you can have the modern UI app up and running on a portion of the screen while simultaneously working on the desktop or another modern UI app—an especially helpful function for messaging apps. Viber also included the ability to transfer conversations between devices, allowing you to start chatting on a Surface 2 and then switch over to a smartphone while you're on the go. Other Viber features included in the Windows Store version include stickers and group calling. The one similarity Viber for Windows 8 does have with its desktop counterpart is that you'll need to have Viber on your smartphone for the Windows 8 app to work. Viber doesn't require a user name and password. Instead, your Viber account is tied to your mobile phone number, which you'll have to enter to use the new app. Viber is the latest popular app making its way into the Windows Store following high profile app roll outs from Facebook and Flipboard. 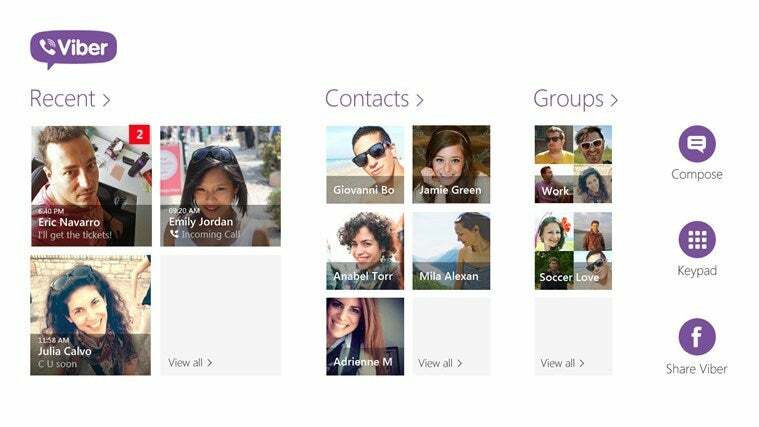 For Viber, the Windows Store debut is part of its aggressive push in recent months. Viber followed up its earlier Windows and Mac apps with a desktop version for Linux in November. Viber also introduced an overhauled app for Windows Phone in October, and the company is making waves with the aforementioned Viber Out service released just last week.